Wildwoodians, we are in the thick of NAMM as I write this. 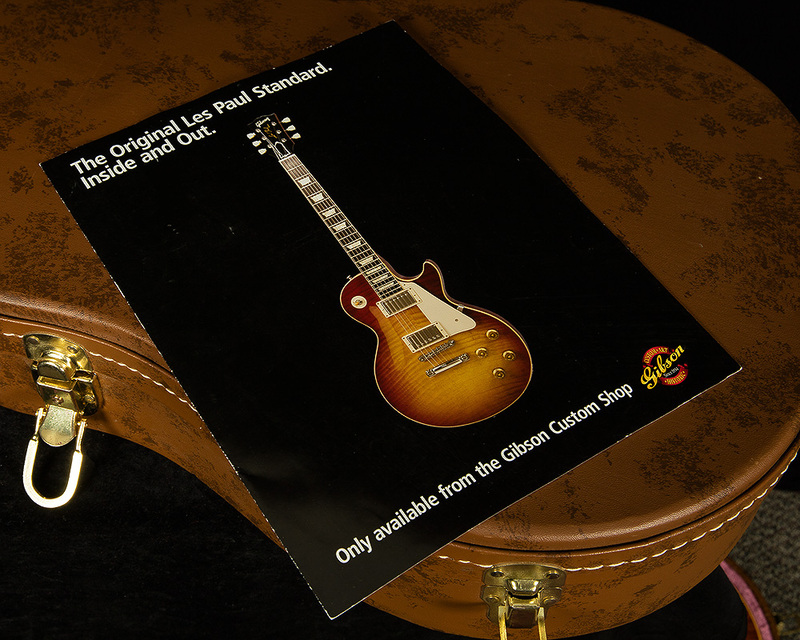 NAMM is the most frantic week of the year for us here at Wildwood, and this 2003 Historic Les Paul's Brazilian fingerboard was a momentary oasis for me today. 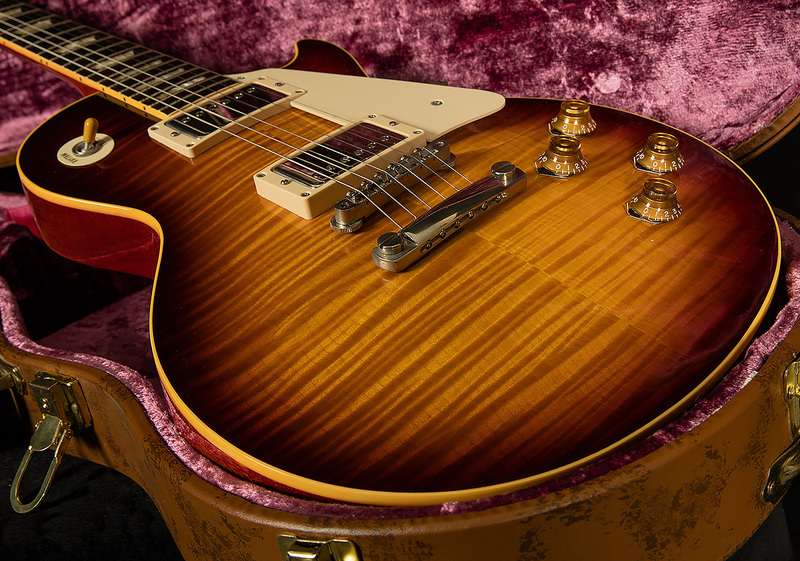 Though this spectacular '59 is minty fresh, it immediately feels like an old friend when you plug it in. 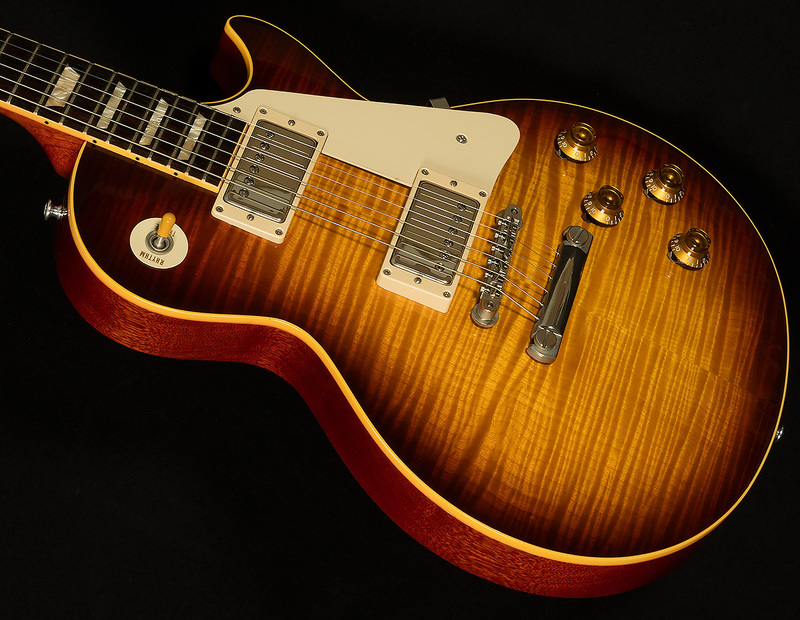 As someone who has played more than his fair share of vintage Les Pauls (I'm from Kalamazoo), I can say with a reasonable amount of authority that this Historic reissue has an ungodly amount of vintage mojo. 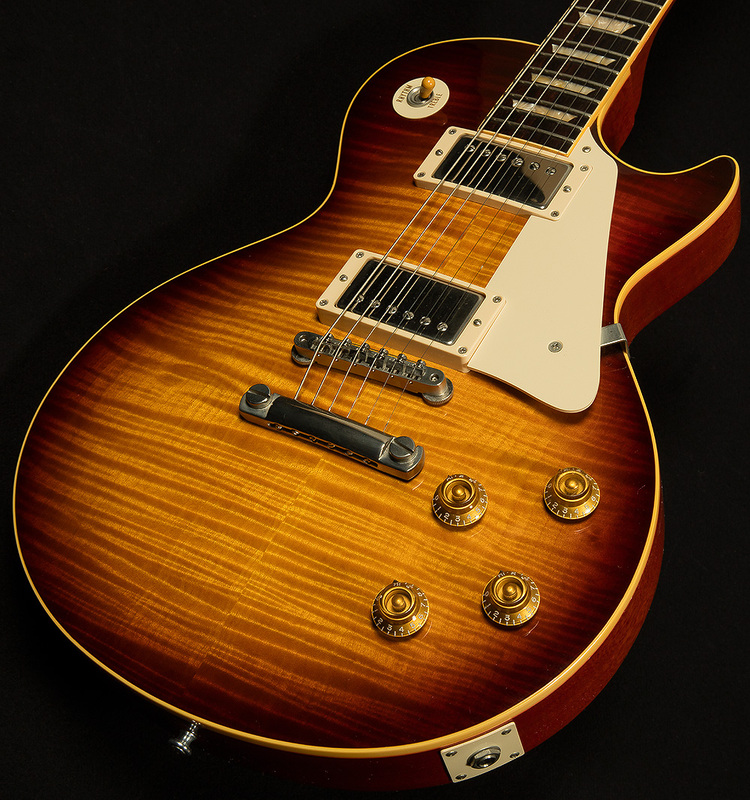 Here's what you'll find when you plug it in: muscular but focused midrange to go with warm, woody lows and sweet, singing trebles. Think Jimmy Page, Telecaster-on-steroids sorts of sounds. What I like most about it, though, is its attack. I LOVE the way this Brazilian fingerboard imparts its signature brand of sweet compression to the front end of each note. 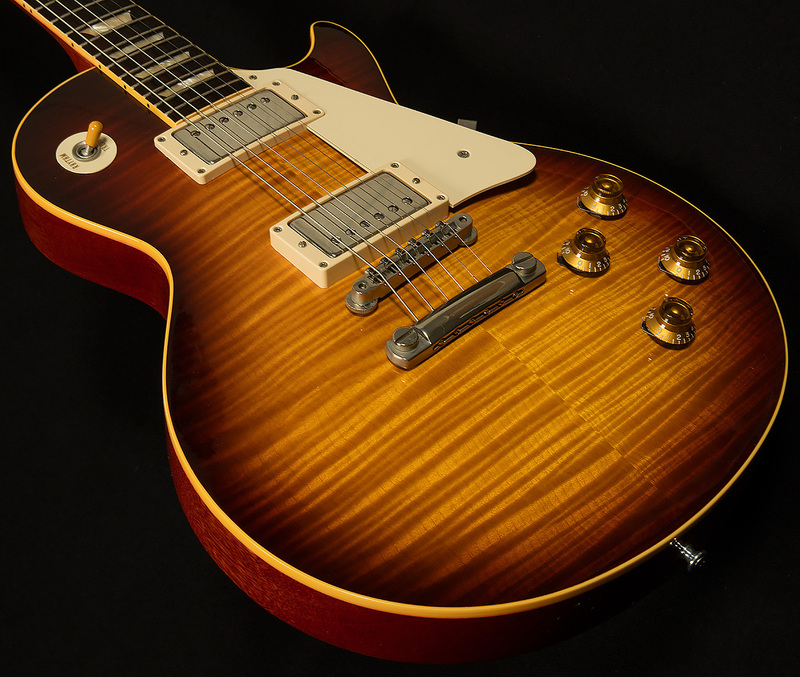 This Les Paul is supremely articulate, and it captures every nuance and detail of your right hand attack, but the Brazilian board rounds off any harsh edges and keeps everything sounding nice and sweet. Frankly, I'm not sure if I've encountered anything quite like it in my time at Wildwood. 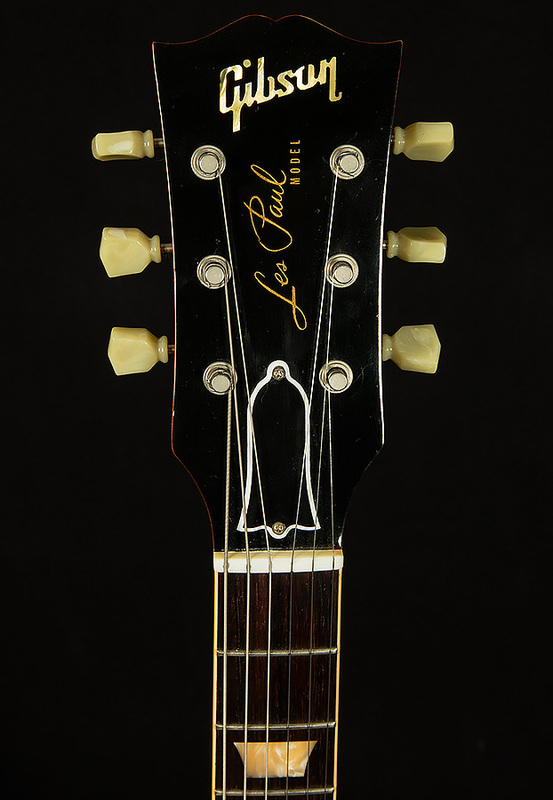 Few guitars allow you to sound both aggressive and pleasant at the same time the way this '59 does. Through a ToneKing Imperial, I was able to achieve the sort of punchy, crunchy rock sounds that recording engineers dream of! 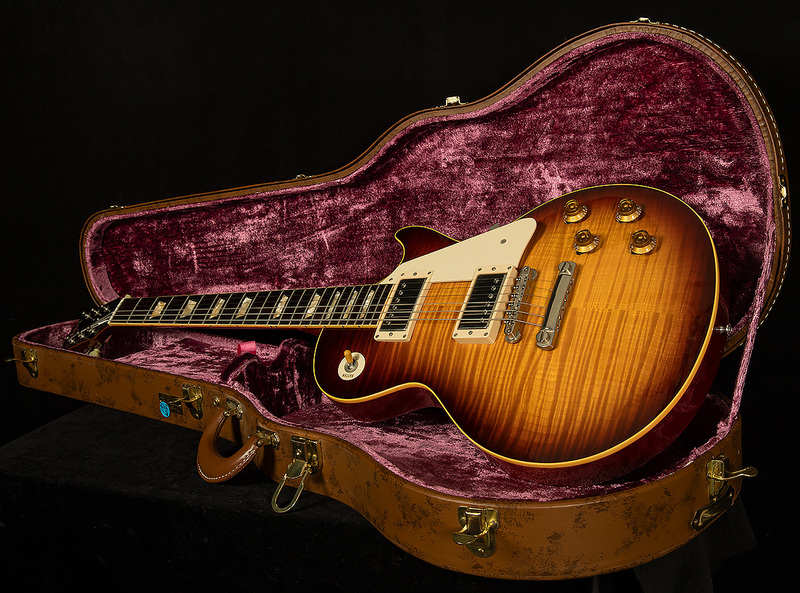 Anyone looking for a Les Paul with an inimitable voice and plenty of vintage heart and soul will love this '59 Historic reissue. 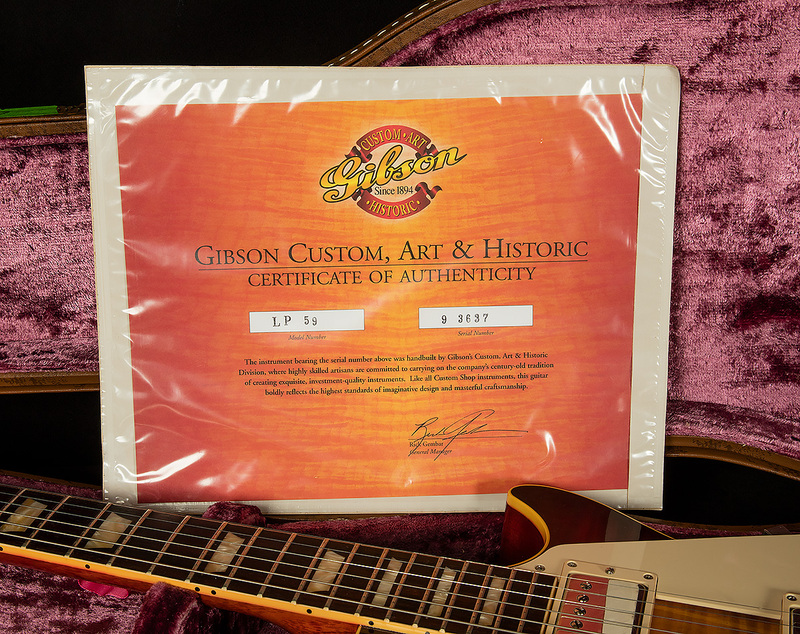 I have no doubt it will bring any Gibson aficionado a lifetime of joy! This guitar looks like it has hardly been played! There are no real signs of playwear, and it still has the original strings from the factory on it. It was definitely a case queen! 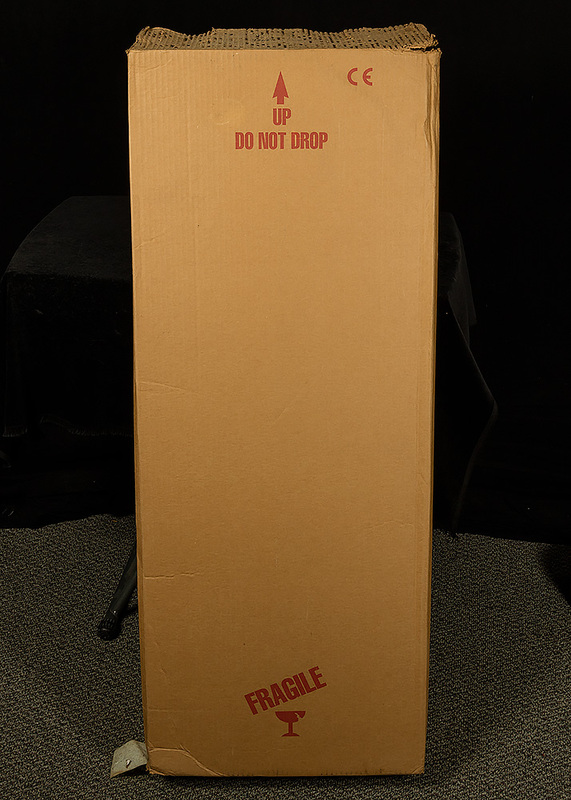 Speaking of which, the Lifton case is minty-fresh, and it comes with all factory paperwork and original shipping box.